Halo Digital fan coil thermostat. Slim modern design with large LCD blue backlit display. 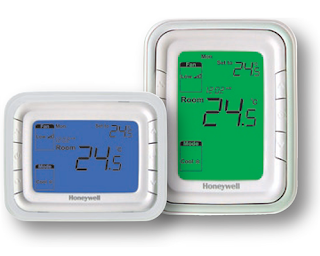 Features include run on/run off timer, setpoint limiting, button or room access key activated energy saving mode.